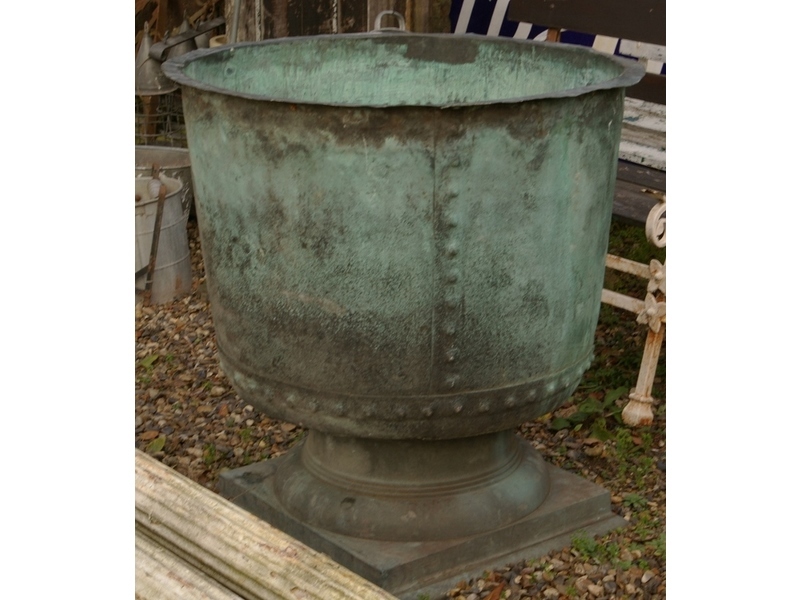 Cast iron Victorian urns, terracotta urns and stone urns for your garden. Garden and conservatory containers for planting. Large ceramic crucible from local foundry. With great iridencent colour to exterior. Originally used for molton metal.